We have a Prime Minister who calls himself a feminist -- a word previously taboo even among women's groups -- we have a gender-balanced federal cabinet where women hold some of the highest positions of power in the country, and the appointment of new Canadian Senators who are some of the leading feminist advocates in the country. So, are we there? 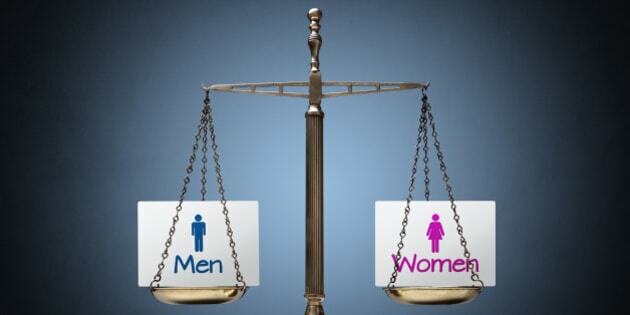 Have we achieved equality for women in Canada? The answer, unsurprisingly, is not yet. In the wake of a startling year for women's rights around the world, there is a feeling that we have a lot to be proud of as Canadians. We have a Prime Minister who calls himself a feminist -- a word previously taboo even among women's groups -- we have a gender-balanced federal cabinet where women hold some of the highest positions of power in the country, and the appointment of new Canadian Senators who are some of the leading feminist advocates in the country. On November 18th, the United Nations Committee on the Elimination of Discrimination Against Women (CEDAW Committee) released their concluding observations following Canada's review under the International Covenant on the Elimination of All Forms of Discrimination Against Women (the Covenant). The report follows a full-day review in Geneva this past October, where NGOs, including CWP, watched the CEDAW Committee put Canada's human rights record for women to the test. Through the review, the CEDAW Committee considered issues that illustrate just how far we have to go before we 'get there': the devastatingly disproportionate experience of poverty for Indigenous women who suffer some of the highest suicide rates in the country; the 500 women who are turned away from homeless shelters everyday, often due to overcrowding; and the shockingly inadequate social assistance rates for single mothers, barely able to survive on $1036 per month in cities like Vancouver where the average rent is $1345 per month. The concluding observations -- which are a summary of the CEDAW Committee's recommendations -- did not pull any punches. Canada ratified the Covenant in 1981, which means that these recommendations should be given the highest regard by decision-makers in Canada. Not only should Parliamentarians implement the observations through their policy decisions, Canadian courts are required to use concluding observations such as these in their interpretations of the Charter of Rights and Freedoms. While the concluding observations recognized some of the small steps forward taken by Canada, there is a clear concern from the United Nations on the lack of overall strategy to address women's inequality. With this in mind, the Committee recommended that Canada, "develop a comprehensive national gender strategy, policy and action plan that addresses the structural factors causing persistent inequalities, including intersecting forms of discrimination, against women and girls". Perhaps the biggest roadblock to recognizing women's equality is a resistance from our decision-makers to ensure that every single policy decision is made from a human rights and gendered approach. Instead of touting singular policies to cover some of the inequality gaps, we must implement a holistic plan to make every effort to consider human rights in forthcoming policy development. For example, as the Committee recommended, Canada's National Housing Strategy and Canadian Poverty Reduction Strategy must explicitly reference human rights and use a rights-based approach. A rights-based approach is a necessity because without it, the government's commitment to equality is little more than just words. As Status of Women Canada representative, Linda Savoie, rightly said to the CEDAW Committee: "We know we will be judged by our actions, not by our words." As a young feminist advocate, I think I'm not alone in saying that I'm tired of platitudes and the "right" words for our representatives when they aren't coupled with genuine action. As many NGOs at the review noted, the Minister on the Status of Women, Patti Hajdu, was not present to answer questions from the CEDAW Committee, nor was she available with a video address. If our government's decision makers are not directly responding to the United Nations, it's unclear whether these recommendations from the CEDAW committee will make their way into those high-level policy decisions. Because there are small signs that we're moving forward, but every so often we seem to take a detour. We sometimes forget that the most direct route to women's equality -- including women's socio-economic equality -- is by first recognizing that equality is a legal human right that belongs to all women in Canada. It's at moments like this, where, like a kid in the back of a family car on a long road trip, I find myself asking "Are we there yet?"